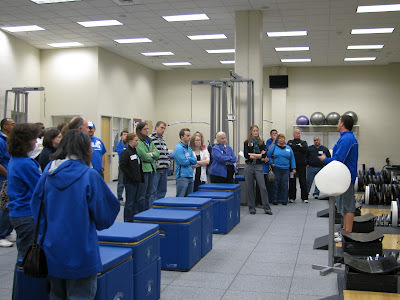 On Saturday, January 15, 2011 the Doisy College of Health Sciences Alumni Board sponsored a program where faculty members from the Department of Physical Therapy and Athletic Training and the Department of Nutrition and Dietetics presented on topics that affect athletes, especially Billiken athletes. It also featured a tour of the Chaifetz Arena Athletic Training and Strength Facilities and tickets to the basketball game against St. Joseph's, a Billikens victory. Billiken Strength Coach Erick Schork leads a tour of the Strength and Conditioning facility. 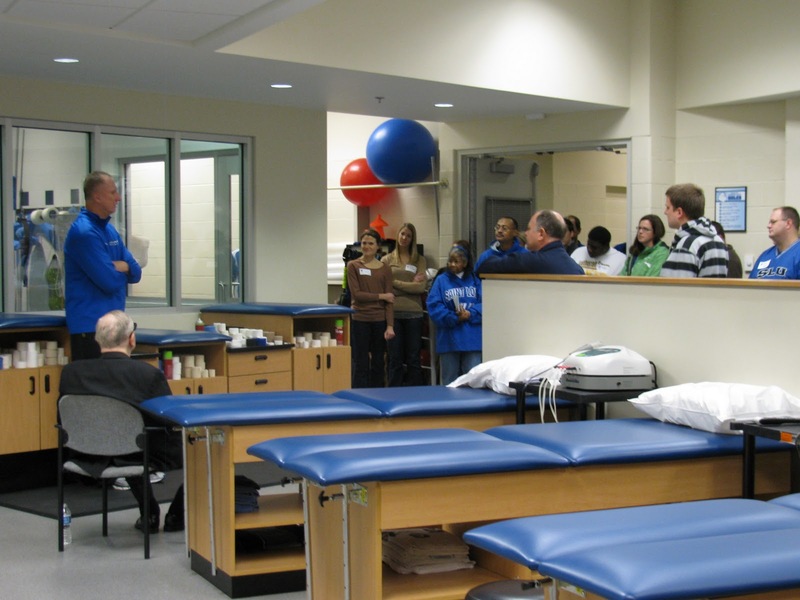 Billiken Head Athletic Trainer Jonathan Burch addresses the participants in the Athletic Training Room.